The last few months of Bump and Grindcore have featured tributes to Beyoncé, Aaliyah, Rihanna, Nicki Minaj and The-Dream. 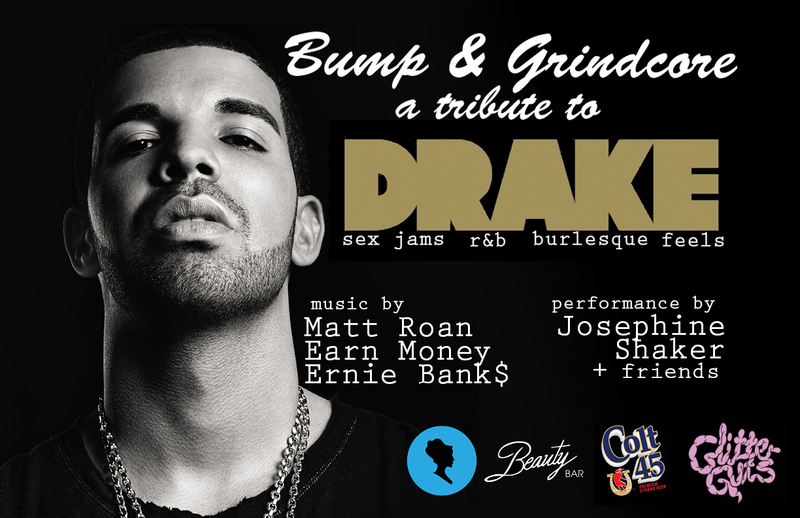 For our exclusive unofficial North Coast Music Fest afterparty, we’re gonna get sexual and emotional with a tribute to Drake! NO COVER + HOSTED COLT 45 from 9-10pm with your Do312 RSVP!!! You can find more info on Bump & Grindcore on twitter and facebook. If you want to RSVP on facebook, because that is a thing people do I guess, you can do so here. 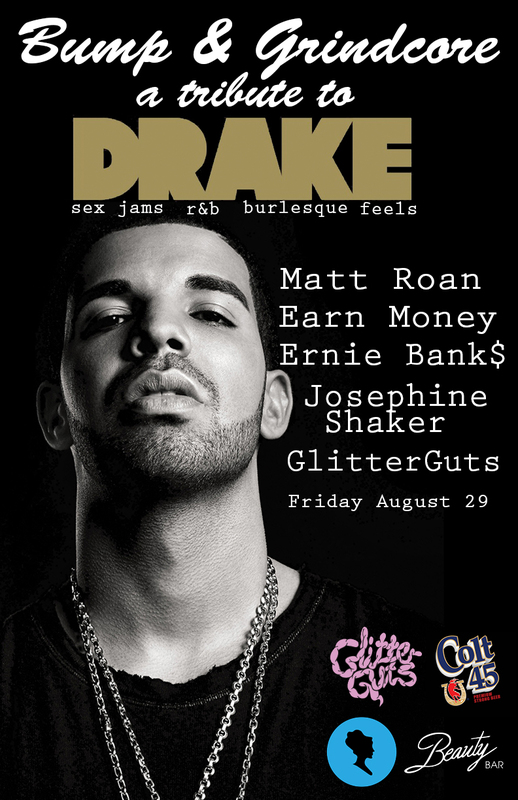 Share the post "Prepare to have all the feels at Bump & Grindcore: A Tribute to Drake"
This entry was posted on Wednesday, August 27th, 2014 at 8:05 pm and is filed under blog. You can follow any responses to this entry through the RSS 2.0 feed. You can leave a response, or trackback from your own site.